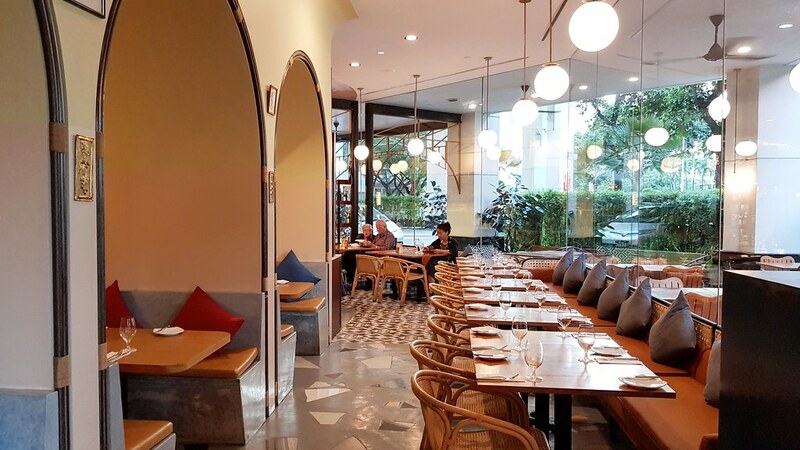 In celebration of the upcoming nation's 53rd birthday, Porta teams up with top local fish farm, Ah Hua Kelong to bring a specially curated seafood dining experience with a 2-day only exclusive menu on 15 & 16 August 2018. 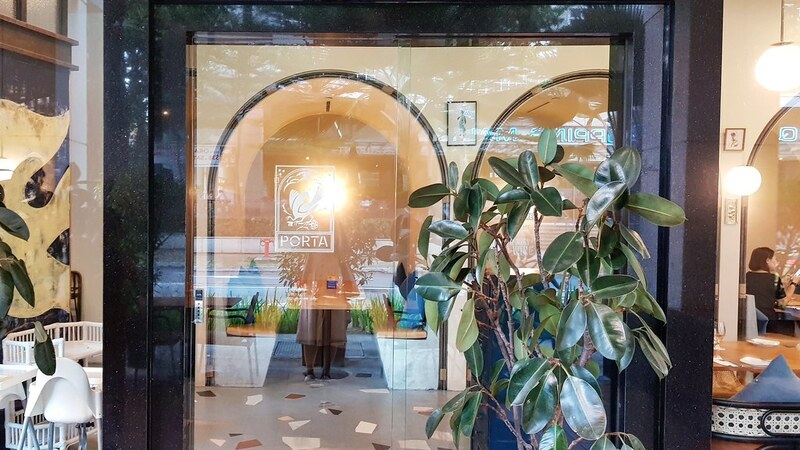 Each dish will showcase a selection of seafood from succulent giant clams, seabass to grouper being freshly harvested from Singapore's waters, delicately paired with aromatic herbs and spices to enhance its natural sweetness, finished with PORTA's modern European flair. 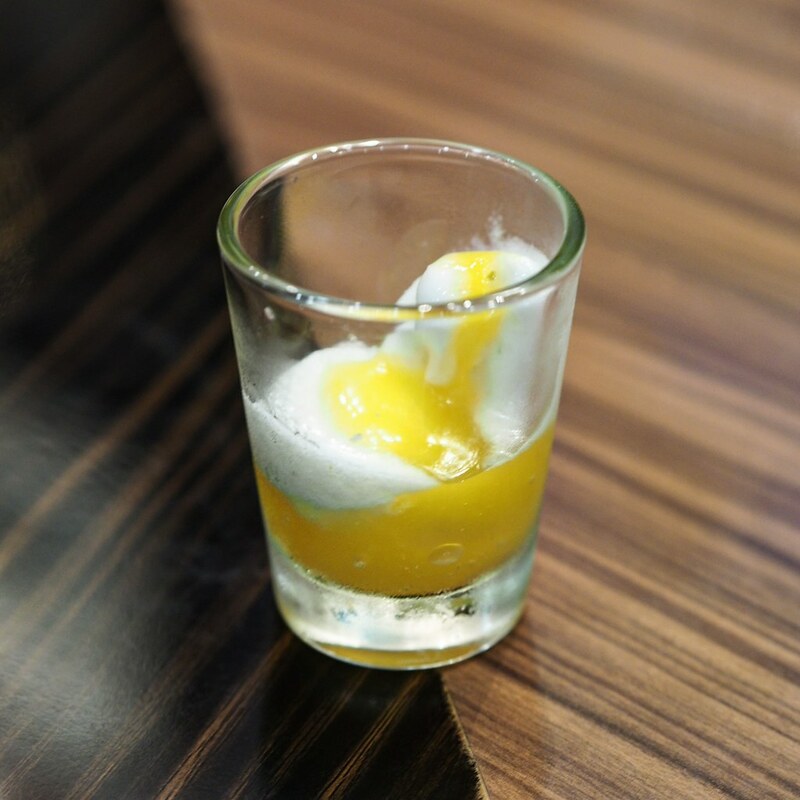 We started the course with a surprise Amuse-Bouche. Dip some crispy Miso Cracker into the creamy curry mayonnaise which gave a sharp lift to its flavours with a fragrant coconuty tinge of spice. 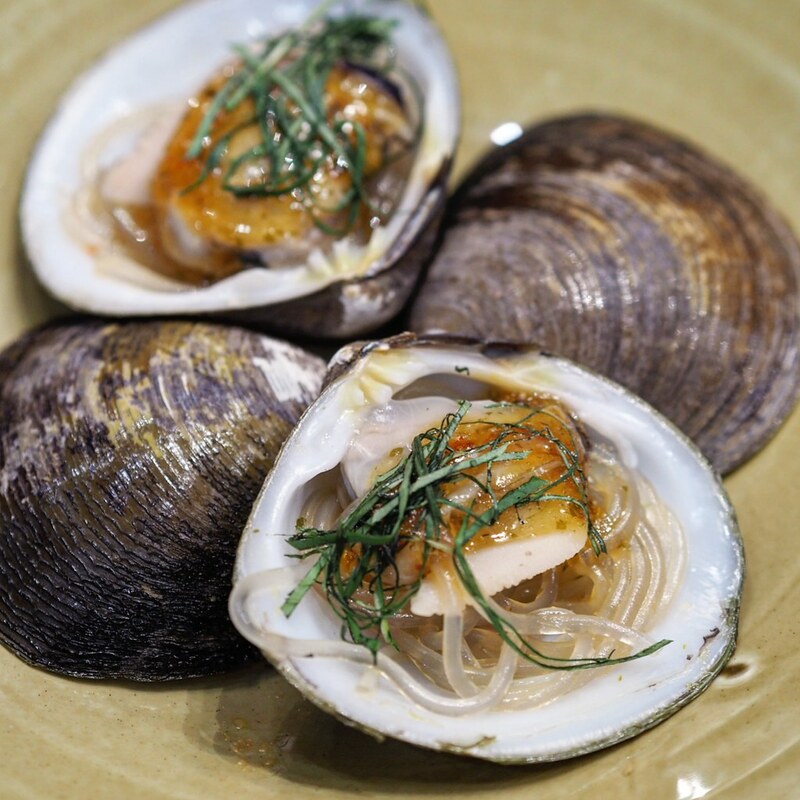 The XL Lokan Clams is served with Thai Basil, Green Chilli and Lime. While the Clams' meat is undoubtedly fresh and juicy, the addition of Thai Basil and Green Chlli added a sourish spice tinge to the natural sweetness of the seafood that instantly perks up the tastebuds. Reminiscent of the HK style steamed fish, the fresh Pearl Grouper is soft and tender with a thin crispy exterior, contributing dimensions to its textures in each bite. 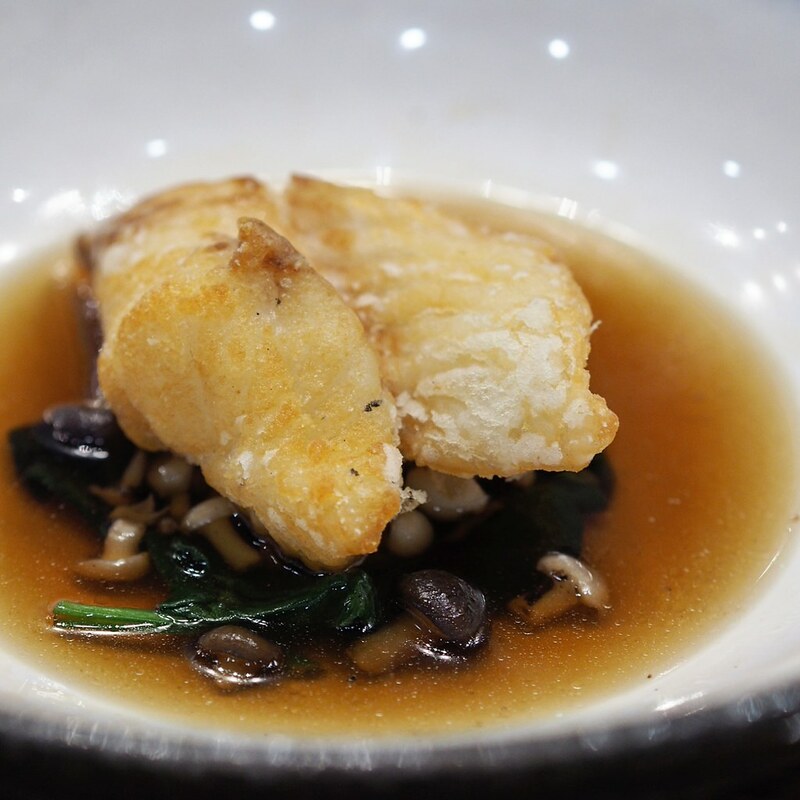 It is also paired with baby spinach, shimeji mushroom and kombu to give the dish a comforting cantonese cuisine feel. Next, we had the Green Lip Mussels. While the mussels' meat are big, fleshy and juicy, the highlight would be the special broth it is soaked in. 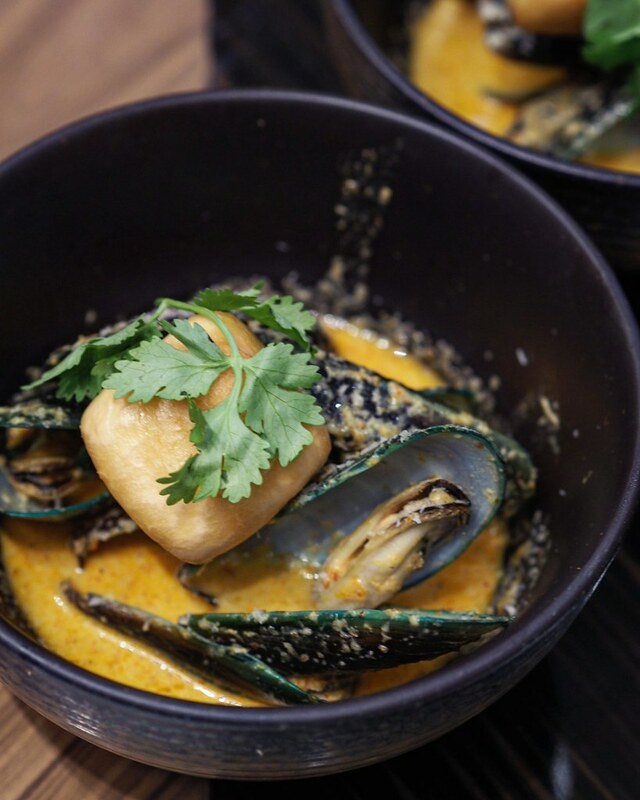 Mixed with red curry, coconut and lime to give it the right amount of spice and tanginess, remember to mop up all the savoury tangy sauce with the fried mantou on the side for the ultimate indulgent experience. 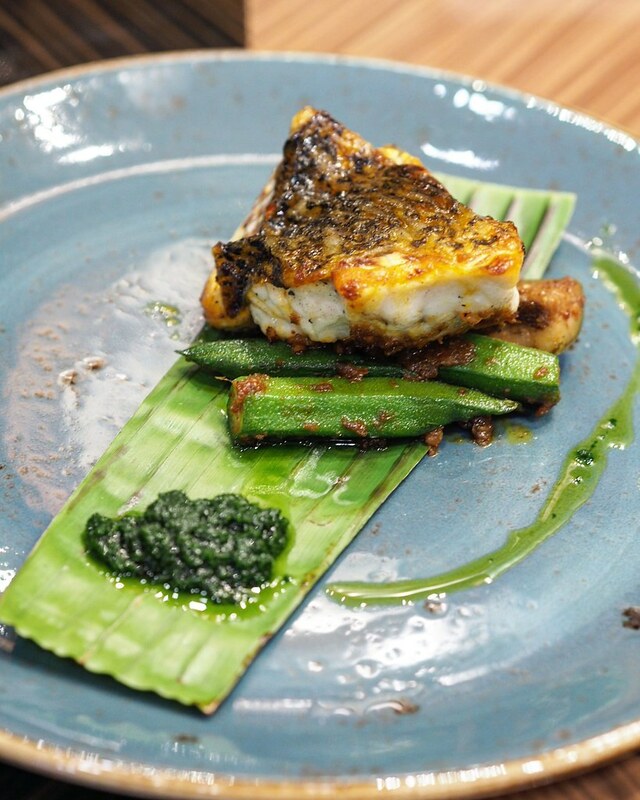 The Seabass comes in a thick cut of pan-fried seabass served with aubergine, okra, spicy belachan shrimp paste. With a crispy and seasoned skin on the top, the fish is well-executed as well and goes perfectly with the flavoured-packed spicy belachan shrimp paste. We had the Lime Sorbet as pre-dessert to cleanse the palate as we wait in anticipation for the main desserts. We rounded off the meal on a sweet note with the Raspberry Ice Cream with Chocolate Salted Caramel Cake. 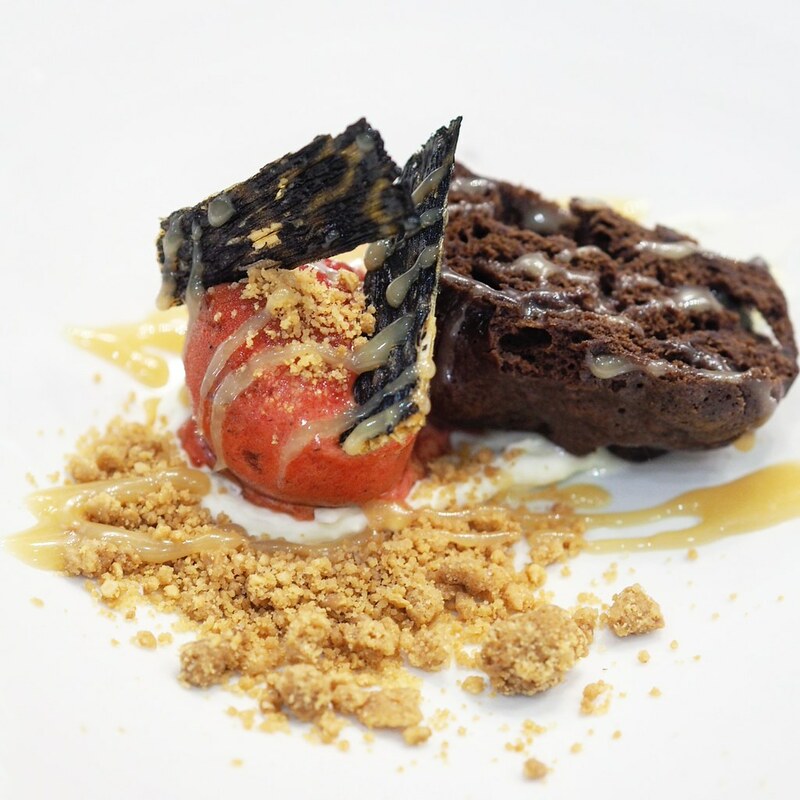 The desserts combines the bitter sweetness of the chocolate, saltiness from the salted caramel and sourness from the raspberry ice cream to present multiple flavours and textures on a dish. 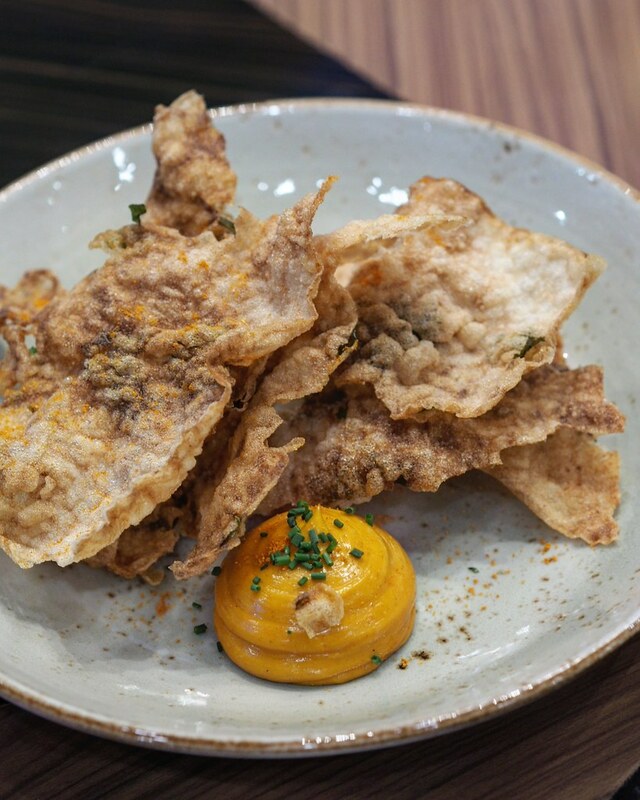 The two pieces of deep fried fins added a special touch to the dish with with an addictive crispy texture. Lastly, the Petite Four is served as second round of desserts to complete the whole meal. 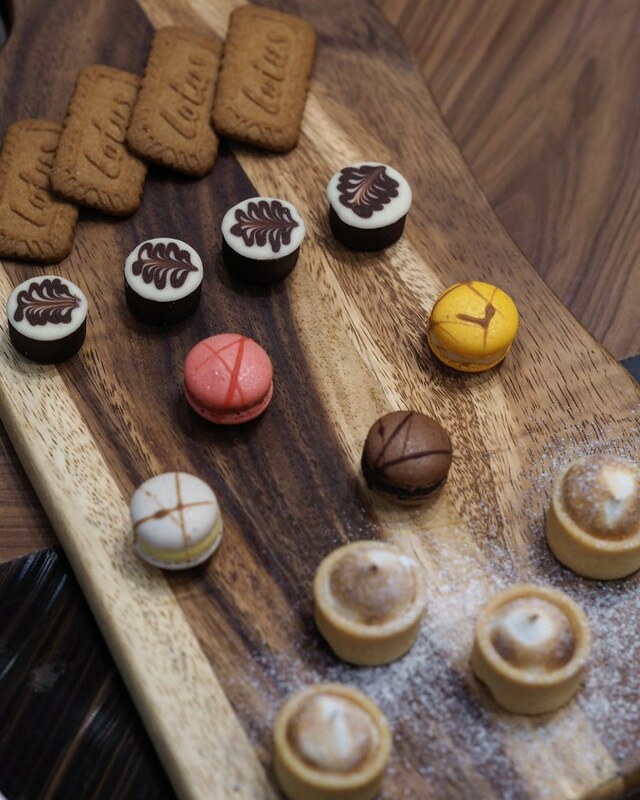 The huge platter displays beautiful symphony of flavours such as the buttery biscuits, bitter sweet chocolate tarts, sweet macarons and sour lime tarts. Ah Hua Kelong prides itself in traditional and sustainable farming practices which yield superior quality seafood, such as using live bait as feed and allowing fish to grow into size naturally without growth hormones or chemicals. Showcasing the best of such locally farmed seafood with these exquisite 6 courses offered in collaboration with PORTA, don't miss out this exclusive menu available on 15 & 16 August 2018. Price: S$72++ per adult | S$36++ per child for 5-11 years old.